Yes, we are finally back! Christmas vacation was a wee bit insane, 24 hours of driving, twice, and getting delayed in Canada with the weather across the country for nearly another week. It definitely was not meshing with my New Year's blogging goals! But we're home now and have an adorable little snack box to share with you! 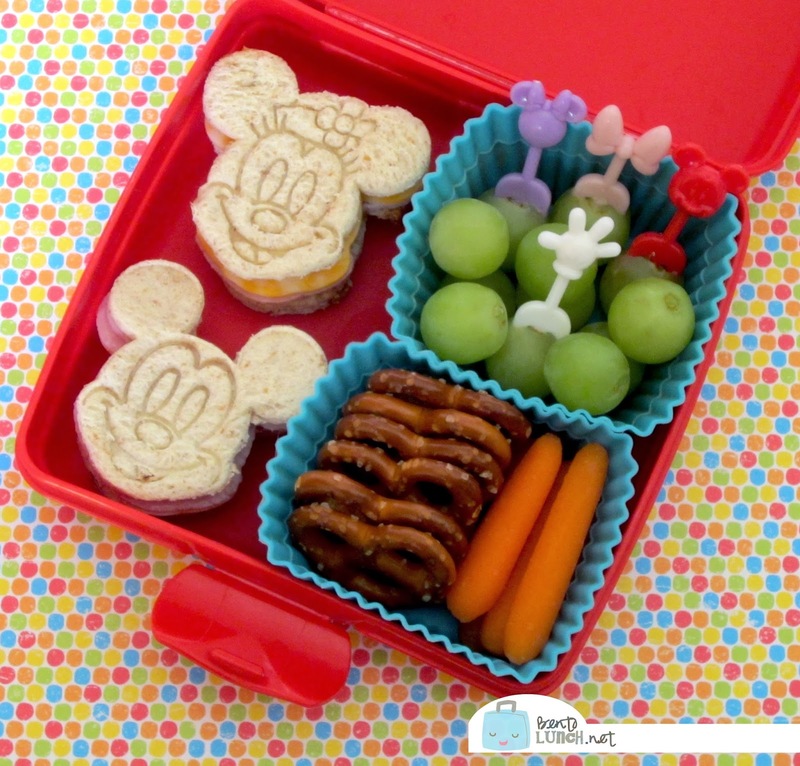 This one features Mickey and Minnie Mouse pressed sandwiches, which are unbelievably easy to make! Just cut the bread, press the design and add the fillings! These ones are turkey and cheese on honey wheat. To go with that, I had to break out the Mickey themed food picks for the grapes, along with some carrots and pretzels, to make it a more filling snack! where can we find this mickey mouse cutter at?